I started with the base colors in a gradient (except for the black) so that I wouldn’t have to worry too much about full coverage with the glitter. Then I dabbed on the glitters with a sponge and top coated. And then top coated a couple more times (at some point I’d like to buy a thicker topcoat for glitter-heavy manicures). Then, I stamped matte top coat on the black nails. 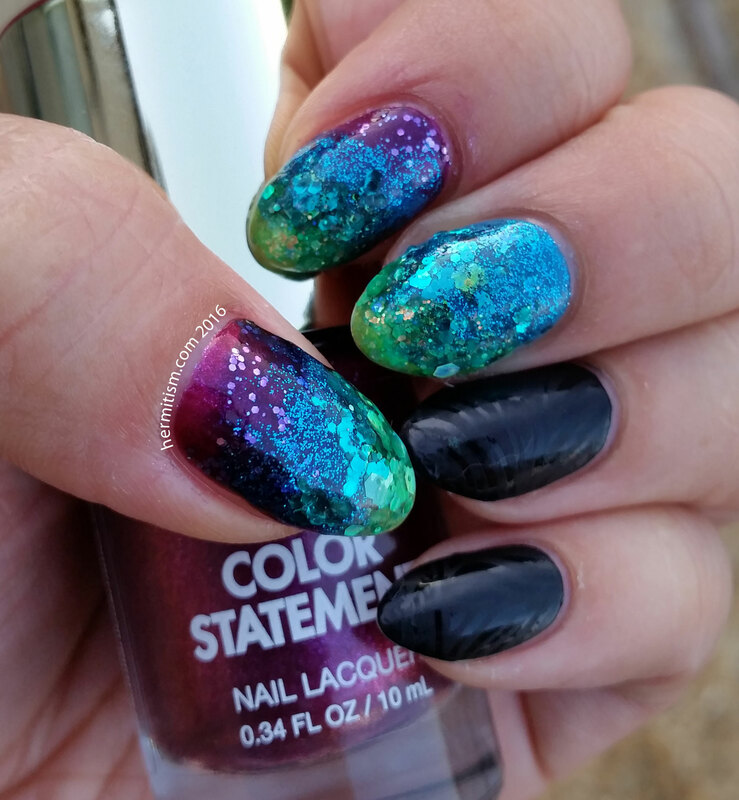 I was originally going to stamp the same pattern on the glitter nails in black, but I loved the glitter so much that I wanted to enjoy them fully for a few days. Using a matte top coat to stamp is a great way of getting some variation on a flat color without drawing too much attention. You can also stamp clear polish on a matte nail. Just be sure not to use a fast drying top coat when you do! This is so pretty! What a great idea to start with a gradient. 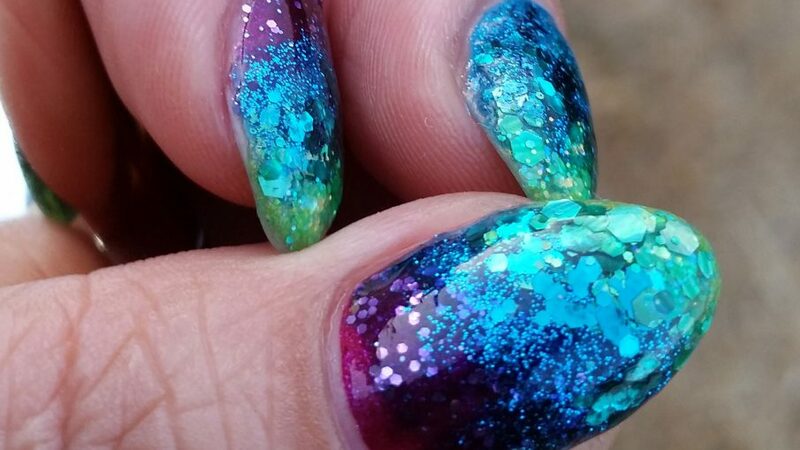 I don’t think I’ve seen a glitter rainbow like this before and I really love the idea.